The front landscape was developed to increase security and to maximise the surveillance from within the extended reception. We developed a scheme that removed all existing planters, re-graded the levels to ensure wheelchair access to the main entrance and a hard paved the area for low maintenance. 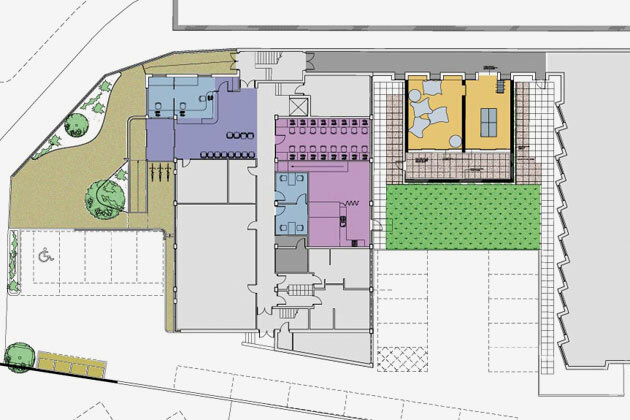 We proposed an extension to the reception, which is occupied most of the day and night, creating the impression of surveillance to the front area. 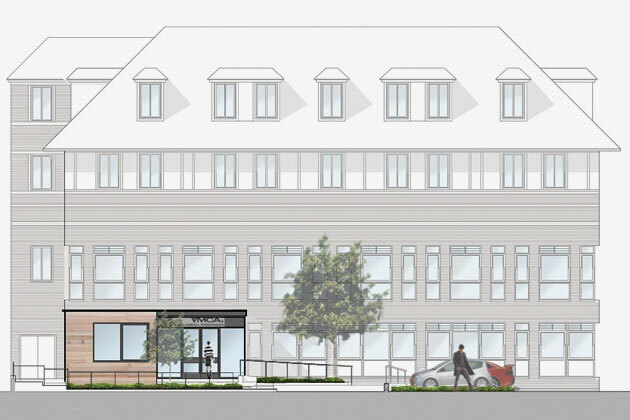 The initial design was only for the reception to be extended, but after further investigation, the design team chose to encompass the entrance lobby into the proposals. As a result of conversations with the planning officer, the envelope of the extension has been designed to contrast the existing building. The reception will be a timber clad structure, giving it an enclosed appearance, contrasting with the entrance lobby formed as a glass box. For the design of the new lounge, the most important consideration has been the residents. They have been involved in decisions regarding the layout and facilities in the space from the beginning. The idea of a graffiti wall emerged at the many design development meetings. Security has played an important part, consequently the patio has been entirely enclosed. The materials chosen for the lounge extension are a traditional yellow brick, that contrasts the darker red bricks of the existing building. 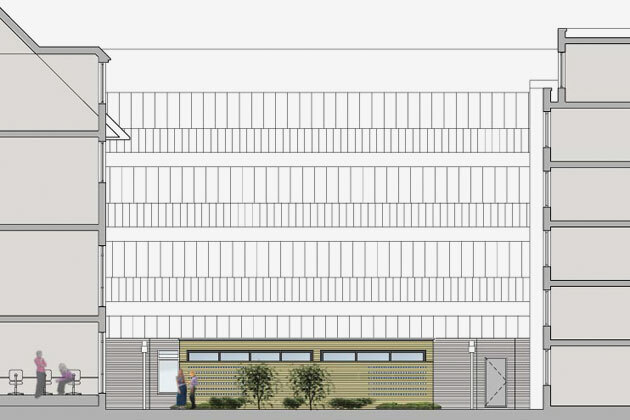 A planning application has been submitted.